Nothing is more interesting at a party than a surprise. There are many different pieces of outdoor furniture that transform into other ones. We’re going to go over a few examples today that may give you some ideas of your own. While you can buy many of them on the open market if you have the skills to make them yourself they can become incredible conversation pieces in that way as well. So come explore some interesting and very different pieces to put near your bar. When we’re talking about stealth we’re talking about a piece that looks like one thing then turns into another. This might be a mini-fridge that folds out into a wine bar. It could be a sofa with hidden drink holders which fold or telescope out of a seemingly normal arm rest. Anything that can surprise guests falls into this area. Outdoor Furniture that hides things inside is fairly easy to find. 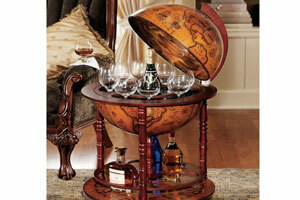 You can have everything from a globe that folds out into a small drink shelf to a sofa which turns into a full counter bar. These pieces are all over the market from places around the world. The only catch is that many of these are custom crafted as well as unique. This drives the price up and you will have to balance that with the value they give you. Modular furniture can be a form of this if it folds into a completely different piece. It can give guests a feel that you are very hip and modern which helps you out in the long run. It is both useful and allows you to impress guests in more ways than one. Choosing your patio bar pieces in this manner should also rely on how much shelter you can give them. Many of these are very durable and can handle an extended stay outside. Unfortunately others can be prone to rust if they do not have constant shelter so keep that in mind as well. Be sure to check just how durable it is before you decide on one. When deciding on the one you want you should let your imagination run wild. Maybe you want a table that is a chair and a sofa. Perhaps you want a bar to telescope out of a cabinet or table. Maybe even some electrical switches and platforms could be involved so that you can stylishly press a button. Whether you do it yourself or get a custom designer to do it for you all of these options are available. Ask for feedback from your friends or clients as well. We’ve mentioned this rule a lot but it holds true in nearly every situation. They may have some ideas or some of them may even be able to create a piece for you. You never know just how many opportunities are there for you just outside of your field of vision until you start looking for them in a significant way. Good luck with your own surprising designs. 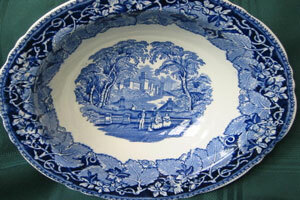 You may be used to using any sort of dish you want with your outdoor furniture. However there are certain considerations that you need to think about when dealing with such an environment. The fact that you will have alcohol around changes things. Another change is the fact that guests will probably want to move their drinks around to different areas of your patio during a party. So we want to give you a bit of food (and drink) for thought on how you serve them everything. So what are we talking about when we tell you to avoid them? We’re talking about fine china which can be easily broken. Delicate wood or metal that has not been properly treated and can be damaged by drinks. Candle holders which could have a drink spilled on them and flare up. Any of these can be more or less appropriate depending on your guests and what sort of event you have created. Outdoor Bar Stools are usually quite durable but you want to avoid having serving dishes which are too large for them. This is because you may find out that you do not have as much space as you need due to some food a guest brought or other unexpected events and may need to use them as an additional serving section. Any serving arrangement that is open topped and could have a drink spilled into it or have a short rainstorm fall into it could be a problem. This rules out quite a few serving dishes if either of those are a problem. Ideally you should have a few with closed tops for your larger foods. Protecting your large main courses is much more important than some small snacks or appetizers. Any serving piece that needs flame may be a mistake as a choice of outdoor furniture. Why? Because no one wants to spill their drink in there and have it catch fire. That can put a damper on any outing extremely quickly. Some of them you just want to avoid because they’re completely tacky. Amazon.com has an inflatable salad bar that looks like a pool toy. It’s just begging to have a hole punched in it by someone being careless and wind down. We trust you to have a decent idea of what works and what does not. 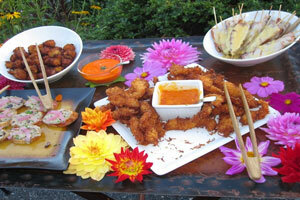 Finally some pieces of outdoor serving sets don’t work just because your guests would not like them. If you are going for a wine tasting party do not serve favors on NFL plates. If you are going for a small brew outing with television then keep the fine wine glasses away. Figure out what your guests want early on so that you can keep them happy. Novelty pieces are fun but can also cause problems. Some people have beer towers which are an interesting idea to start with. However it’s not so fun when someone stumbles into it and spills a huge amount of beer on your guests along with the furniture. Drinking responsibly is perhaps the best way to avoid many of these outdoor furniture pitfalls. However that cannot always be guaranteed when meeting new friends or having a neighborhood outing. With parties if something can go wrong it often will. This advice goes doubles for those of you who have outside restaurant furniture. They’re no longer just guests they are your clients. If any of these come up and their good time is ruined because of it then you could be out of some money for a while. Bad word of mouth from having your setup put together incorrectly can be lethal to the health of any business. Follow these simple tips and you should be able to avoid most of the trouble. An essential part of the best outdoor bar setups is an ice maker. Sure you probably have one in the house but it’s just more stylish to have one as part of your outdoor furniture. So how do you go about selecting these? In many of the same ways as you would select your other pieces. We will be running down the types and options you have though so that you can get the big picture of everything. Hopefully you will find the perfect one for you once we are done here. Operating it outdoors is one major consideration you have to think about. They are built to be quite sturdy and can even stand up to the elements fairly well. The real problem is when rain water drips into the ice. If you do not have one that can be sealed tight, which is most of them, then you need to have an overhang or other storage. Otherwise you could get rainwater in your clean ice and that would be a serious problem. Capacity is a major thing to consider when picking this large piece of outdoor furniture. In this area it’s quite clear that size matters. However if you do not need huge capacity then go with a smaller model. Most of the ones on the market are in the mid to large size. So finding a smaller one can be somewhat difficult but that is fine. It is no less important than your other Patio Furniture. The size of the chunks also matters quite a bit. While the normal cubes are good for the casual user an experienced bartender will want ones that are much larger. If you are an experienced bartender you know why, it’s to carve the ice you will be putting in the drinks themselves. You need a decent chunk in order to carve the perfect piece which can make or break any drink. The outdoor furniture placement itself matters quite a bit too. Make sure that you have space around the bar both for this and for any seating which you have arranged. You do not want to get into cramped quarters as well. That can really wreck any sort of party if your guests are bumping into you as well. You may also need some chemicals so be sure to factor them into the budget. It could make it with just some water and the normal cold but a few use Freon or even CO2 in order to get everything running correctly. There are many different models that do it in lots of ways. Be sure to choose the one that fits the best with your own setting. Style is perhaps the last consideration. Most of them come in one color, shiny metal, but a few may have a black finish or other addition. The best way to handle that though is to put the decorations on this outdoor furniture yourself. It will save you money and should not take you very much time in order to do it all. So put some elbow grease on it. You have certainly heard of a normal refrigerator unless you live in some third world country. However a new device known as a “Kegerator” is becoming popular in many outdoor bar furniture settings. Would this work for your own installation? We think that it might. We’re going to go over how it differs from your other options and why it lends a singular style to any setting. You are the one to decide whether the positive points work for you. So in what way does a Kegerator differ from a normal fridge? There are a few key differences. 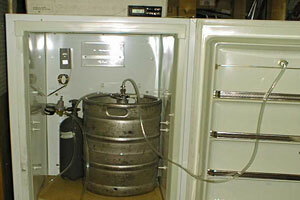 For one they often incorporate a CO2 tank in order to keep the beer cold and bubbling. Anyone how has appreciated a quality brew knows that this is a vital part. They often also have a tap or other dispensing device on top as well. This is all put together with regulators, couplers, and refrigeration along with drip trays. Basically it’s an ideal setting put together just to keep your drinks in great condition. Making your own Kegerator to go with your own outdoor bar furniture can be a really cool project if you have the time. You’ll need a few parts such as an old fridge, tap and a way to get the CO2 into the setup later on. You will also need some dials and indicators for temperature and other parts. You will need to drill holes in the fridge for the wires along with the taps. Then connect all those to the keg itself. Once it is done you can tap the whole setting and make sure it is all running right. This can take a bit of time but you can find an online kit in order to make it easier for you. That being said there are many commercial editions of these for a few hundred dollars if you cannot spend that much time on it. They of course come with a wide variety of differences as you would expect. Be sure to inspect them as well as you would any other piece of outdoor furniture. While these are quite sturdy you should create some form of shelter for them. You want to keep such a neat piece safe from both the elements and those who would dearly like to grab it and pawn it off. It may be best to roll it out for a party then roll it back in a bit later. That can be a bit difficult if you drink too much so try to keep it in moderation. Installing the piece itself shouldn’t be very difficult. Just make sure your bar has space inside and a slot for the tap. Other than that just fit it in. The appeal of this set up is obvious because it lets you and your friends get cool and fresh drinks from a small piece of outdoor furniture. It’s a great focal point for parties and can really become the best solution for those who want an easy way to fire up an extravaganza. For a home bar it’s also an essential piece since it can keep the drinks you love chilled for such a large amount of time. The wine cabinet is not normally thought of as a piece of outdoor furniture. True enough most of them that people use are kept inside. It is for that singular reason that having one on the exterior is so interesting. Few people do it but you could really make an extremely nice kitchen area from setting something up like this. Manufacturers are also giving people many more options in this area as well. If you have the money and want some additional style this may be the best option. So how did affordable versions of this come about? Our ancestors of course could never dream of having things like this. Even if you did have some rich ones they would have kept their wine in cellars to cool it down. 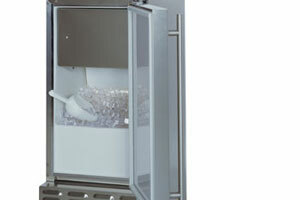 However with modern refrigeration and manufacturing all that has been changing for some time. Now you can enjoy an excellently chilled glass of wine pretty much anywhere on earth. When actually buying such a huge piece of outdoor furniture like this you want to make sure there is a guarantee. It needs to be rust resistant and at least a bit watertight. This will make sure that even if an unexpected storm comes up you will still have a functioning piece. 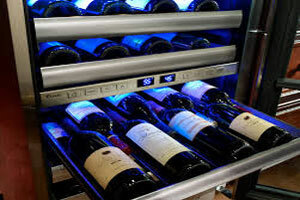 Having storage space for a wine cabinet is very important as well. As a high-dollar and high-style piece there will be many times where you need to keep it under lock and key. Even if you live in a gated neighborhood some thieves like to head in with a van and take the easy outdoor pieces. They can make quite a profit off of them and it’s much easier than breaking in. They usually don’t want to have to go in and hurt your family any more than you would like them coming in. Regular maintenance on this very large section of outdoor furniture matters quite a bit. If you cannot do it yourself then make sure to hire someone who understands it well and can keep it running. Why do we say maintenance? Because nearly every modern one has some form of client control that needs additional care. Sure you need to shelter and condition it to the elements but you also need to look over that as well. When deciding on a style you have many different choices. Metal models may be more durable and cost less but might not be as stylish as some hardwood pieces which you could get. There aren’t as many choices in this area as with one of the traditional models indoors. Be sure to weigh the options you have before buying one. Another barrier to entry here is that outdoor furniture like a wine cabinet is very expensive due to the need for durable models and extensive style. That being said if you can afford it this makes for an unparalleled piece in nearly any setting which you could imagine. It’s up to you to decide whether the price of admission works for you. The “Dive” style has both been loved and hated by people for quite a long time. While we don’t suggest you run out and try to make one on your patio it isn’t a terrible source of ideas. Both the style of outdoor furniture that you could create with it and the feelings that it stirs in some people could both work to your advantage. So today we are going to stop for a minute and look at what you can learn from this particular style of bar. The first thing to go over about this style is that it has a bad reputation with some people. It can be anything from a home-style bar with friendly patrons like Cheers to a run-down dive like Moe’s on the Simpsons. All of these stereotypes are based on real bars that people have been to for better or worse. So the definition of this is a bit up in the air, it could be a name for a really fun place or a terrible depressing one. So what outdoor furniture would you go for if you were looking to create a comfortable “dive” atmosphere with your bar? You would obviously look for pieces which would fit into someone’s home. Perhaps some well-worn chairs that were still cared for nicely but still look good. A few tables and countertops that show they have been used but are not heavily damaged. Things that show people have used them but not too much. Of course you can go too far with this style of outdoor furniture and even indoor pieces. The reason the worst “dive bars” get that reputation is both due to the clientele and condition. The furniture may be damaged and show scratches or chips. The people there are usually down on their luck and drinking their troubles away. Overall it creates a very unfortunate atmosphere you want to avoid. The best ones however create a lively atmosphere that patrons love. Indeed there are many people who would rather go to their local bar in this style than any of the ultramodern ones that so many other people love to frequent. For that reason there is a singular appeal to it that you cannot buy with money and you can only explain if you have been to one of this type yourself. Creating this style has more than outside restaurant furniture to consider. How you treat your guests is an important part. Be talkative and encourage conversation. Try to not make things look too rich or stuck up because that makes it seem like you are dealing with the wrong people. Go with the cheaper brews and the cheaper settings but show you put a lot of work into it. This applies equally whether you are serving in your house or your business. When you go with this style you are attempting to create something that doesn’t happen naturally: charm. There are lots of reasons why that is very valuable for you to create. People have always loved cigars. Often alongside a sunny day and some outdoor furniture. However these days we have a plethora of bars themed for them. There are many reasons why this trend has caught on and still thrives even in an era when smoking is frowned upon. We are going to go over those and talk about why it might be a decent choice for your own business or home if you cater to people who love cigars. Cigars themselves have an interesting reputation. They cost more and have fewer harmful toxins than cigarettes. They also rarely contain nicotine as the singular appeal of them is that you smoke them sparingly when you really want to enjoy yourself. They have a deep place in the hearts of many countries along with men and women in them. They also create a style so unique that many people will put one in their mouth just to create a look. Few other pieces can boast the same qualifications. So how would you go about creating your own outdoor furniture setting for a cigar bar? It’s a bit harder than your normal setting for a few reasons. The first one is that your pieces need to be comfortable and resistant to the smoke. This is compounded by the fact that you need it to be able to stand up to some light weather as well. All of these add up to you needing some very unique pieces. So how would you go about this? You may try to find some that a smoker had used before then treat it to resist the elements. Amusingly enough smoke can help temper wood further and make it stronger if it is exposed for a long enough time. The downside of it is that it starts smelling like smoke. That shouldn’t be a problem if you are just using it for outside lounge furniture. You do have to be careful with exposing the outdoor furniture to too much smoke. It can actually lead to warping. However the only way that would happen is if you were to do it for somewhere around 15 years. That would cause some real problems so maintain and replace it regularly. Having a shelter to keep your guests out of the rain is also useful. Just make sure that it can resist the smoke damage which could be caused if your experiment proves successful. While you could do this in your own home the place it really shines is with outdoor smoking and restaurants. Most people are still okay with designated smoking areas and many people are just fine with using them as long as they can still relax at a place they want. They will pay huge amounts for this luxury in an era when so many people all over the world are mad that people are smoking. By catering to them exclusively you can create a dedicated fan base for your own bar or restaurant that no one can match. 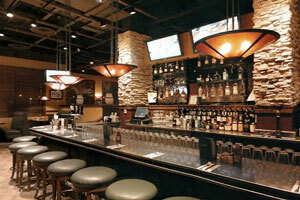 One very interesting style is very popular with many bar owners and restaurant owners. 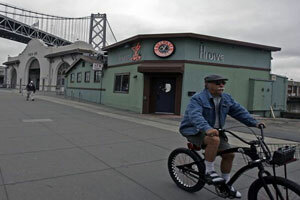 The brew pub is in this style and lends a different sort of atmosphere than you would expect. Today we are going to go over what this style is in case you would like to set it up slightly outside of your home. A big part of this blog is going to be exploring styles so that you can have a better idea of what to choose. We want to help you set things up to have that same distinct theme. Many of us are not familiar with what a brew pub actually is. In short it’s a traditional pub that offers a very non-traditional serving of “brews”. The most successful ones have a strange atmosphere of “beer connoisseurs” who come to them to both enjoy a hearty drink and try something they have not before. They also have a huge selection of brews from all over the world. This could be anything from 30 to around 200 different brews depending on the level of the location. 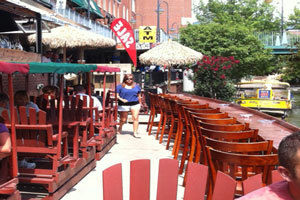 Choosing outdoor furniture for an establishment like this is much the same as any traditional setup. You will want a few bar stools somewhere and probably some nice patio furniture as well. You do not need any huge breakthrough in design to get it working. It is more about the drinks and camaraderie than anything else. It’s also a great style for restaurant patio furniture. While the two are not always one and the same many microbreweries are also brew pubs, not all of them are. The reason for this is because many of them want to sell their own in-house drinks to both get a reputation and make more money. If they can create a reputation then they can send more out and make bigger sales as well. It is all about improving in the industry. That being said some people do not really feel at-ease in an establishment like this. You want to make sure your friends or customers enjoy the atmosphere. Why is this? Because they rarely serve the local lagers that everyone is used to. You won’t usually sit down for a normal Budweiser here. You may settle down for an “Angry Orchard” or some other interesting brew. So some people may feel out of place. Another reason is that the outdoor furniture and other pieces often have an air of dignified upper-class mentality to them in many areas. They usually look a few cuts above the normal pieces. As such most of the clientele may feel a bit snobbish when they are relaxing talking about the great drinks of the world. It is a strange atmosphere but not totally unenjoyable. After all if the people involved are all on the same page there is no one to get offended. In that case it can lead to a great time and perhaps some new friends. You would be able to tell best just whether this works for your area or not. Perhaps you already have one nearby that you could take a hint from. It is certainly a “brew” for thought. One of the easiest ways to set up an outdoor bar is to have it on the side of your house. Some houses have a setup already in for things like this. However you can easily change things if that is not something your house came with. In many ways this is not different than any other style you would imagine. It’s just the best way to make things look natural when you are setting up your furniture and other pieces. So come explore a style that is a little easier and a bit more natural than usual. So first things first, does your house have a small alcove or overhang? If the answer is yes then all you need to do is furnish it with a countertop and some chairs to have your own bar on the side of the house. You can also keep the drinks out of the weather with a bit of an overhang. In this case there isn’t much for us to tell you to do because you already have everything set up. Just start picking out the right items for it and finding the right drinks. What if your house does not have something like this? 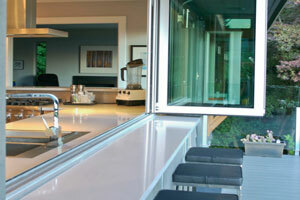 Then creating an outdoor bar and selecting the furniture for it can be a bit more complicated. You may have to saw, install or otherwise modify a wall. You may need to put in an overhang that was not previously there so that people can have some shelter while drinking. Or you may have a home that cannot handle much modification and will need to use some other method. Once you have determined how much work is needed you then need to figure out whether to do it yourself or hire someone to work on it. Either method can be great as long as you have the money or know-how to do one. If you run a business then this is a bit different but it has the same principles. You can create a slightly outside bar with a shelter for your outdoor furniture pieces. While not the main focus of this article it is something to keep in mind when you are decorating. Another way to do this is to use a more traditional shed and hollow it out or move pieces around until it fits with a bar atmosphere. That can really simplify things and save you a lot of time. A gazebo could also work in this sort of setting as well. If you do it this way then you will probably have quite a bit less work to do on the home or business itself. That is always something handy for outside restaurant furniture. Finally you should consider whether this style works for you. If you have a beautiful home and want an additional decoration for it then it may work. But if your structures are pretty well set in stone, so to speak, then this may be a mistake. Weight your options and decide whether a remodel works.